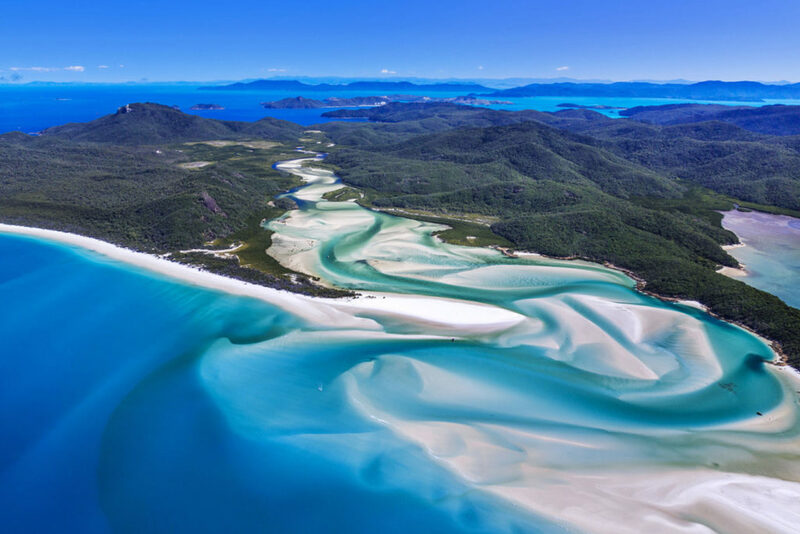 Whitehaven Beach in the Whitsunday Islands of Australia is a stunning seven kilometer (four-mile) stretch of white sands and turquoise waters. You can camp and barbecue while you’re there but to do so will have to travel by boat, Jetski, seaplane, or helicopter – there are no roads. © Copyright 2018 by GT Media.